The days of one-size Enterprise Mobility Management system fits all are long gone. Most EMMs have complementary solutions with tight integrations to partner solutions that fortify their business’ existing IT Security investment. 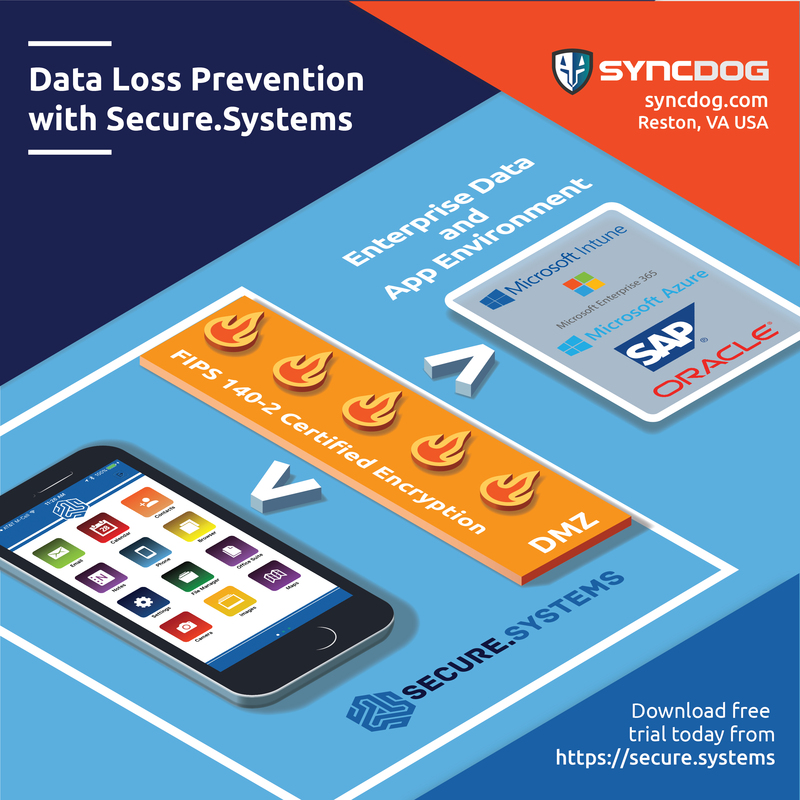 SyncDog and it’s Secure.Systems™ product line is one of these complementary solution providers. We have a solid history dating back to the late-1990s of integrating best-in-class mobility solutions to enterprise network systems — before there ever were EMM solutions. The Secure.Systems™ Mobility Architecture consists of a secure containerized workspace with AES 256-bit encryption, and security extensions for HP ArcSight, and IBM QRadar, two of the world’s leading SIEM vendors. SyncDog is now an AppConfig Community Member. Through the AppConfig Community, SyncDog is working to simplify enterprise application development and deployment within common standards provided by leading EMM providers. As part of the AppConfig Community, we have access to common framework components for VMware AirWatch and IBM MaaS360. We are actively evaluating EMM solutions to integrate the Secure.Systems™ containerized workspace with. If you have an EMM product and would like to partner with us, please contact us here.